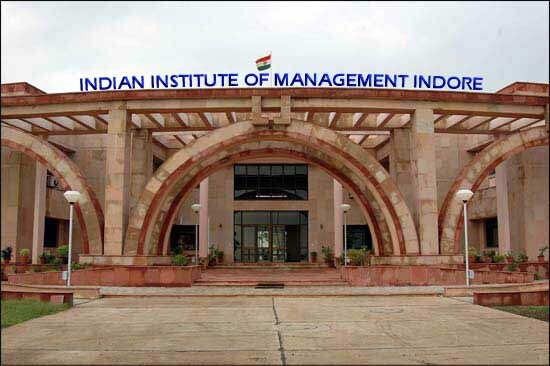 During the recently concluded i5 Summit, an entrepreneurial extravaganza organised in IIM Indore, my role as a member of the Corporate Relations vertical was to pitch and develop proposals to get venture capitalists for the flagship event of the Summit where they could choose to fund the participating start-ups. Another role of mine was to secure slots with pre-eminent industry speakers to grace the summit and share their wisdom with our 2000+ strong student community. Due to an unforeseen medical emergency, we lost one of our keynote speakers a week before the event had to commence, and the entire team had to quadruple the efforts in finding a replacement speaker and ensure all the prints and collaterals were edited well in time before the event, within the stipulated fest budget to reflect the change. Well in time, we were able to manage an alternate speaker, and I learnt my first lesson on management – to not lose hope in trying situations. I was also the Point of Contact for the concluding keynote speaker, Mr Aaron Friedland, Founder, The Walking School Bus; coordinating his activities and schedule throughout his stay at our campus, ensuring he got face time with all the relevant stakeholders. The i5 summit went well. I couldn’t have been more proud of myself and the entire team. Our efforts paid off when we were duly appreciated by the Director and all the participant groups. What feels like an achievement is when I walk through the corridors of the Academic block and see a framed photograph of me on the i5 stage all beaming with joy! ADITYA BIRLA GROUP is such a big name and is a dream company everybody looks forward to. If given an option, I would want to join the Aditya Birla Fashion Group. The company’s brand portfolio includes product lines that range from affordable and mass-market to luxurious, high-end style and cater to every age group, from children and youth to men and women. It is defined by its brands — Louis Philippe, Van Heusen, Allen Solly, Peter England — that personify style, attitude, luxury and comfort. I would want to work for ABFRL because I want to become proficient in the marketing field, discover it in depth and since it is a field that continually sees fresh influxes and new influences, there will always be something new to learn and improve upon.